As an indispensable component of preventive oral health care, dental X-rays make it possible to monitor the status of developing teeth and detect disease, damage, and decay that can’t be seen during a routine dental exam. 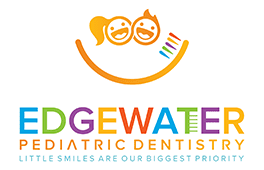 At Edgewater Pediatric Dentistry in Edgewater, New Jersey, board-certified pediatric dentist, Rosalie Nguyen, DMD, and her team are proud to offer comfortable, low-dose radiation X-ray services for children of all ages. To learn more, call the office or schedule an appointment online today. Children who have regular dental X-rays are less likely to develop deep cavities and other major problems that may eventually require more extensive treatment, such as a root canal. Are there different types of dental X-rays? Bitewing X-rays provide a view of your child’s molars or the upper and lower teeth in the back of their mouth. Besides uncovering any hidden decay between molars, this type of X-ray also reveals details about tooth alignment and bite. Occlusal X-rays show the entire arch of teeth in your child’s top or bottom jaw. These images help Dr. Nguyen assess tooth placement, spacing, and proper bite relationship as your child continues to develop. This type of X-ray shows two or three of your child’s teeth in their entirety, from crown to root. It also provides a view of the bone tissue that surrounds and supports each tooth. What are painless dental X-rays? As a pediatric dentist, Dr. Nguyen is committed to ensuring that your child feels at ease, safe, and comfortable throughout their visit. To make the X-ray process as quick, easy, and painless as possible, she and her team use a state-of-the-art Vatech Green CT panoramic X-ray machine. The Vatech Green CT is a state of the art x-ray imaging system. This revolutionary device produces superior image quality, giving a clear view of particular dental issues to allow us to make a fast and accurate diagnosis. It is low x-ray radiation providing safer CT scans with the latest advances in x-ray technology. It is FDA cleared for pediatric use thus, minimizing radiation to our patients. You can rest assured that your child's dental visit will always leave them healthier - without potentially dangerous levels of radiation. The VaTech Green CT also takes care of those often troubling mouthpieces because images are produced extra-orally. This machine is especially beneficial to those patients that gag very easily. To learn more about painless dental X-rays or schedule your child’s next visit, use the online booking feature or call Edgewater Pediatric Dentistry today.